I try to stay upbeat here, but it's hard to be relentlessly positive when that's not what's actually going on. I think perhaps part of the "silence" of the blog title was my own silence about this and now that I've vented, got it out, I feel better. I did worry a bit that I was shooting myself in the foot, if any agents ever read the post that would be it for me. But sometimes you've just got to get it out. And something certainly did get "out"! Yesterday, a few hours after the post went up and apparently completely unconnected to it, I heard from the assistant of the first agent I wrote to, 8 weeks ago, apologizing for the delay! I think she may have been overwhelmed by the gratitude of my response! So, what can we learn from this? That this agent, at least, is not in the "no response means no" business, and for this I am thankful.No guarantees, but the assistant liked my writing enough to pass them on to the agent. Okay, that takes us back to some positive news. Here, on this very blog, tomorrow, I am hosting the almost-final leg in Jonathan Pinnock's mammoth "Mrs Darcy versus the Aliens" blog tour! Intrigued? Pop back tomorrow. And huge congratulations to my writer friend M on her book deal (more about that when I am allowed)! Good news all round! I'm recovering from a packed ten days, first at the Cork International Short Story Festival and then this past weekend at the Small Wonder short story festival. Both were wonderful, but the reason I decided to treat myself and go to both is rather less wonderful. I've been feeling depressed about the short story. Not about the short story itself, good heavens no! How could I, when reading short stories brings such joy into my life and writing them might even have saved my life. No, I've been depressed about the "business" of short stories, and more specifically short story collections. It's only so much we short story writers and lovers can take of being told the same thing again and again and again... No-one reads short stories...No-one buys short story collections...No-one wants your work.. Oh, I don't like short stories... Then came the BBC Radio 4 Afternoon Reading cuts, which I found out about on my birthday. Charming. Sign the protest petition here. At least the comments by signatories are really heartening. Then a few days ago someone in the audience at Small Wonder even asked one of the speakers why they write short stories since short story writers are "in the graveyard of writing", or something to that effect. You can imagine how I was feeling hearing that. We're in the graveyard of writing? We're dead? Who's dead? We write for the dead? My first reaction is, No we're bloody well not, there are thousands of people worldwide who love reading short stories. Maybe even more than that. It was heartening in Cork to meet a wonderful Canadian writer, Deborah Willis, whose first collection was bought by Penguin Canada without an agent and was nominated for the Governer General's Award - and for her to tell me she is under no pressure to write a novel. Of course, in Canada you just say the words "Alice Munro" like a magic password if someone dares to suggest that you "graduate" from the little short story to the mightly novel. Now, my rant here is not against novels - that would be utterly ridiculous. Some of my best friends are writing novels :) No, my rant here is that writers aren't being allowed to write whatever they want - and, more than that, what they are good at. Second rant, and this relates to the title of this post and is more personal. I've been thinking it's about time I looked for an agent. I had a few meetings in 2009 when my book was commended for the Orange Award for New Writers, and everyone was very kind but I didn't have anything for them to sell. That made sense. Well, now I am 3/4 of the way through a new collection, biology-inspired fictions, funded by an Arts Council England grant, and so I thought this might be a good time. I want to state categorically here that I fully expected the "I'm so sorry but we just can't sell short story collections at all right now". I figured there was a 0.0001% chance an agent would buck that trend. What I didn't bargain for was this: silence. Total and utter silence, from three agents. I wrote what I thought was a well-constructed query email, and I had a personal recommendation to each agent through writer friends and another agent. But... I was also completely honest about only wanting to write short stories. And then last week I read about the new "no response means no" policy apparently being adopted by a number of literary agents. This equates to: if we don't write back, we don't want you. I am very thankful that I am not alone in find this quite shocking. You don't have a minute to even paste in a form reply saying "no"? Apparently, one agent said she employs the "no response" tactic because she doesn't like dealing with the "negativity" of having to reject people. Oh my. I'd like to put my Short Review editor's hat on here. We receive a lot of queries asking if we might review a newly published short story collection, many more than we can, in fact, review (which is good news for short story collections). I have a form reply in which the first thing I do is congratulate the author or publisher - because, especially in this climate, I believe every short story collection published is a cause for celebration! I then explain how I will try and find a reviewer but it might not happen. It makes me sad, the number of collections we won't be able to review since we "only" review 10 a month. But I would never dream of ignoring an email. Never. As editor last year of Southword, I had to pick 6 short stories for the issue. This meant rejecting hundreds of stories - a number of which were submitted by friends of mine. How did I feel? Sick. Because I knew exactly how it would feel to get that email, however kindly I worded it. But to leave someone hanging, not knowing if the non-response is a sign that there is hope or not, is, frankly, cruel. I think it is deeply uncivilized. And if that agent thinks she is avoiding negative karma by not sending an actual rejection, she is mistaken. She should congratulate and applaud every single person who gets up the guts to write to her. Don't we all know how hard it is to move from "I'm trying to write" to "I am a writer", to take that leap into sending out your work to a publication, to then even contemplate the next step, the possibility of an agent taking you on? Thankfully, there are a number of agents who have reacted to this "no reply means no" and said that they simply don't agree with this. I think we should vote with our feet - if an agent has a "no reply means no" policy, perhaps we should send them silence first, before they can send it back. And let's give ourselves a round of applause, for just putting ourselves out there. It's not easy. I am trying to stop worrying so much about the "business" side of all this and get back into the writing. Thank goodness for all the amazing small presses out there who are publishing the books - not just story collections - that are the sorts of things that no-one thinks will sell. They are to be applauded too. As a very wise friend of mine said, mainstream publishing is a bit like Marks & Spencers - they aren't going to agree to sell a limited edition of your hand-painted belts unless it's a very special occasion. And if what you're creating doesn't even really look like a belt... well then. In the mean time, I'm getting down to some writing. I'm going to stop caring if I'm making the right kind of belts. I'm going to let it all hang out. I forgot to mention that this also comes after hearing many many stories from fellow writers of non-responses, not just to initial queries like mine, which didn't include an MS, but after agents have requested an MS to be rushed overnight to them, they are so excited about it! And then.... silence. Is this a good way to do business? I am being told that 12 weeks is about standard for a response time, so it seems I was jumping the gun here. But this isn't just about me, this is about a principle which I do hope isn't becoming the norm. I've just had a response from an agent's assistant apologizing for the delay - it seems it's a complete coincidence that it came today, and I have thanked her profusely for just ending the silence. I don't mind waiting and waiting... not at all, I understand how large the slush piles are. I just needed to know that I hadn't sent my queries into a void! An autoreply, as mentioned in the comments here, would have helped immensely. I have a poem, Moss, in the new issue of Alba, the Journal of Short Poetry. My prose poem, Timeless, written in memory of our lovely Cleo is published in .Cent magazine (Page 13), a stunning fashion mag which also has prose. My short short story, Waving on the Moon, is in the latest issue of A capella Zoo, a fantastic print journal of magical realist and speculative fiction and poetry, it's well worth grabbing a copy! I also have a few more stories and prose poems forthcoming in the next few weeks, in SPECS, kill author and Electric Velocipede. I'm immensely grateful too all these wonderful publications and encourage you to support them not just by reading what they publish but by also doing them the honour of sending them your work. Okay, back to sorting out Cork festival photographs. In the meantime, read the blogs by Women Rule Writer, Orfhlaith Foyle, Ethel Rohan at Dark Sky Magazine and the official festival blog. While I work on my Cork Short Story Fest Day 2 blog post, here's an interlude: I am delighted to once again have a story in the fabulous Metazen. It's called The Watch My Father Wanted, and, in keeping with Metazen's ethos, it's a little wierd. I like wierd. Thank you for listening. So, I'm here in Cork, again, at the Cork International Short Story festival (formerly the Frank O'Connor International Short story Festival) and I am just so happy to be here! To be amongst like-minded short story folk, listening to amazing writers read their stories and talk about stories - til Sunday night - is just, for me, sublime. She read a story from her collection Ice Cream, called The Polish Teacher's Tie, which I had only read a few weeks ago. It was lovely hearing her read it. Just lovely. And she talked about what it was like to win prizes... and not to win prizes! We had a very nice chat afterwards - she is dashing back to Bristol tomorrow, which is a shame, but - SPOILER ALERT - she is going to be the guest on the Arvon Foundation short story course I am co-tutoring with Adam Marek in Nov 2012, so I just wanted to introduce myself, say hi. I tried not to gush too much! She and I expressed our dismay at the BBC Afternoon Reading cuts (check out Wrath of God's latest blog post for more on that). I was thrilled to finally meet my online friend and fabulous writer Ethel Rohan, who is reading at the festival on Friday - originally Irish, she now lives in San Francisco. We have published each other - I chose one of her stories when I edited Southword and she asked me to contribute when she was guest editor at Necessary Fiction, so it is just great to finally meet her and once again have that wonderful experience when an online acquaintance is just as great - if not more so - in person! 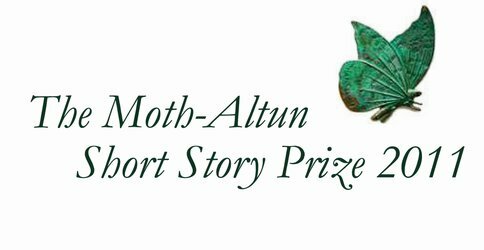 Thanks to Women Rule Writer for this one: The Moth-Altun Short Story Prize is a new prize for a story of up to 2500 words. Entries by post or online. There will be one prize of €1,000. 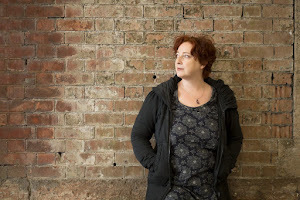 Entry fee: €8 Judge: Christine Dwyer Hickey Closing date: 31 March 2012 More details on The Moth's website. 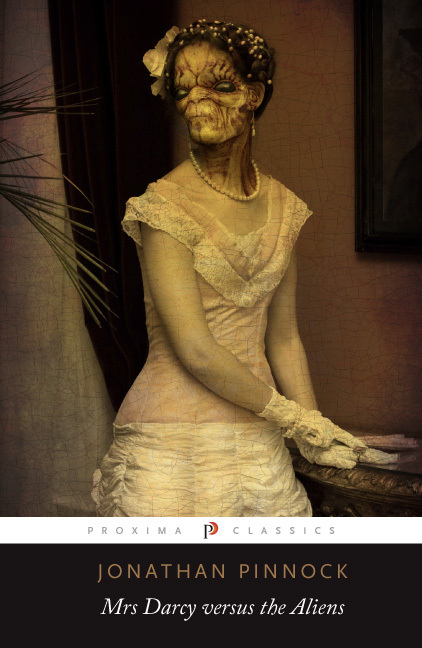 Rosa Mira books, the wonderful New Zealand publisher whose Slight Peculiar Love Stories e-anthology includes four of my flash stories, is having an e-book giveaway. Visit their Facebook page for details. It's worth it! If you're anywhere near Stroud - or could be - check out Stroud Short Stories, a live lit event held every few months. Submissions for the October event close September 18th. And if you are anywhere near Brighton - or could be - check out this exciting-sounding FlashLit Fiction event from StoryStudio: "Flash fiction night with a digital bent launches at this year's Brighton Digital Festival": Flash Lit Fiction takes place on Sunday 11 September at Sticky Mike’s Frog Bar on Middle Street, Brighton, from 7-10pm. Advanced tickets are now on sale £6 from Eventbrite website http://bit.ly/nlOpkW or more on the door.